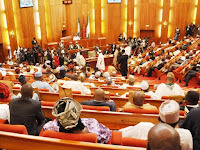 The Conference Committee on the Electoral Act Amendment Bill comprising the Senate Committee on the Independent National Electoral Commission (INEC) and its counterpart in the House of Representatives Tuesday voted to change the sequencing of general elections in the country. The committee by its action has adopted the position of the House which on January 23 voted for the National Assembly elections to be conducted first, followed by state Houses of Assembly and governorship elections, then rounded off by the presidential election. The amendment to Section 25 of the Principal Act, which was substituted with Section 25(1), would be adopted at both chambers of the National Assembly before transmission to President Muhammadu Buhari for his assent. According to the amended version, the elections shall be held in the following order: (a) National Assembly elections (b) State Houses of Assembly and Governorship elections (c) Presidential election, on separate days. The conference committee also voted to concur with all other amendments made in the version of the Act passed by the House at a session presided over by the chairman of the conference committee, Senator Suleiman Nazif. Section 87 was harmonised with the new Sub-section (11) on the sequencing and timing for the conduct of primaries of political parties. The amendment specifies: “The primaries of political parties shall follow the following sequence: (i) State Houses of Assembly (ii) National Assembly (iii) Governorship, and (iv) Presidential. The co-chairman of the conference committee, Hon. Edward Pwajok, responding to questions from reporters after the voting session, said the harmonised bill would be presented to both legislative chambers for adoption. “From here, we are going to consider other items that need concurrence where there are differences between the Senate’s version of the Electoral Act Amendment Bill and the House’s version. “When we harmonise all the areas of differences between the Senate and the House, then we will report progress to both chambers. “It is expected that when we concur, the Senate would sit and vote in support and the House would also sit and concur. After the concurrence (by both chambers), we will send the harmonised bill to Mr. President for his assent,” Pwajok said. 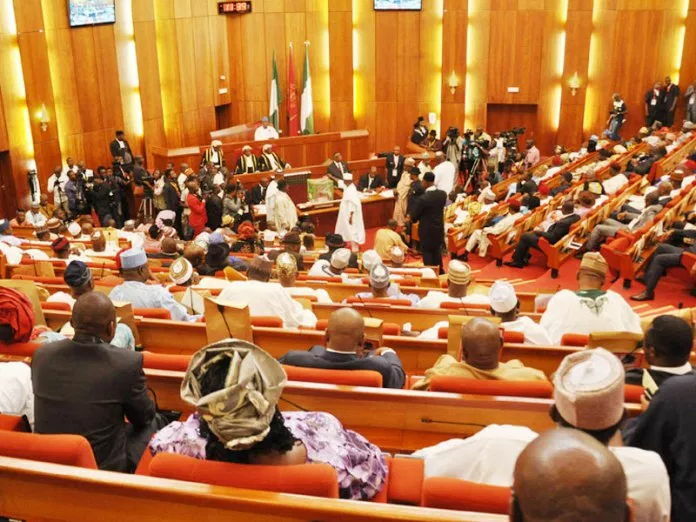 The development confirms recent reports by THISDAY over fears in the presidency and at INEC that the Senate would adopt the amendment of the House, which could significantly affect the outcome of the 2019 general election. The concern in the presidency stems from the fact that the bandwagon effect of the first set of elections into the National Assembly could influence the other elections. Under the current sequencing, the reverse is the case as the outcome of the presidential elections, in particular, has a bandwagon effect on the governorship and state assembly elections. The amendment would also throw INEC’s timetable for the 2019 general election, which was released about a month ago, into disarray. Going by the INEC timetable, the presidential and National Assembly elections were slated for February 16, 2019, while the state Houses of Assembly and governorship elections were scheduled for March 2, 2019.